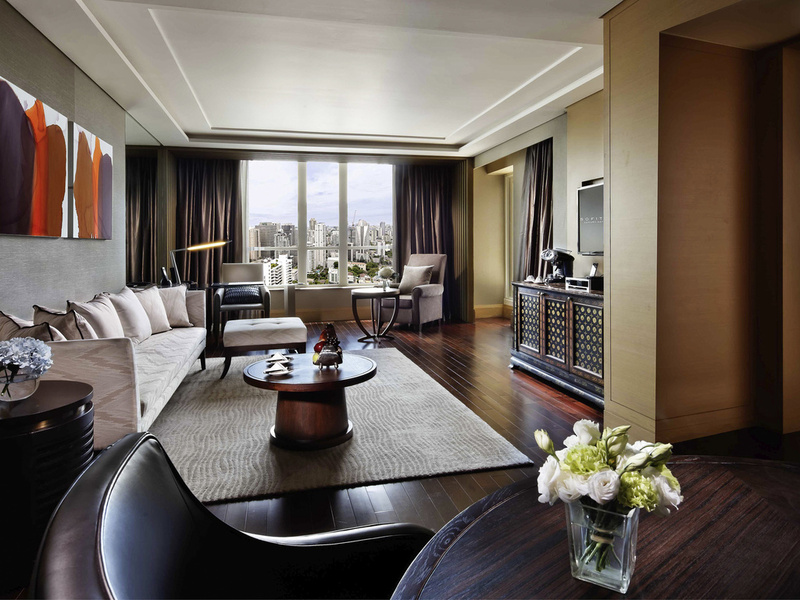 Indulge in a unique blend of French elegance and Thai culture at Sofitel Bangkok Sukhumvit. Outside, the capital city pulses with liveliness. You are minutes from world-class shopping, entertainment and inviting nightlife. Stepping inside, you are immersed in minimalist elegance that speaks of the hotel's rich French and Thai heritage. The modern lobby living space is a colorful fusion of cultures. Works of art surround you, from an imposing copper arch that represents La Grande Arche de la Défens in Paris, to unique contemporary sculpture. Motifs of rice are found in the public spaces. 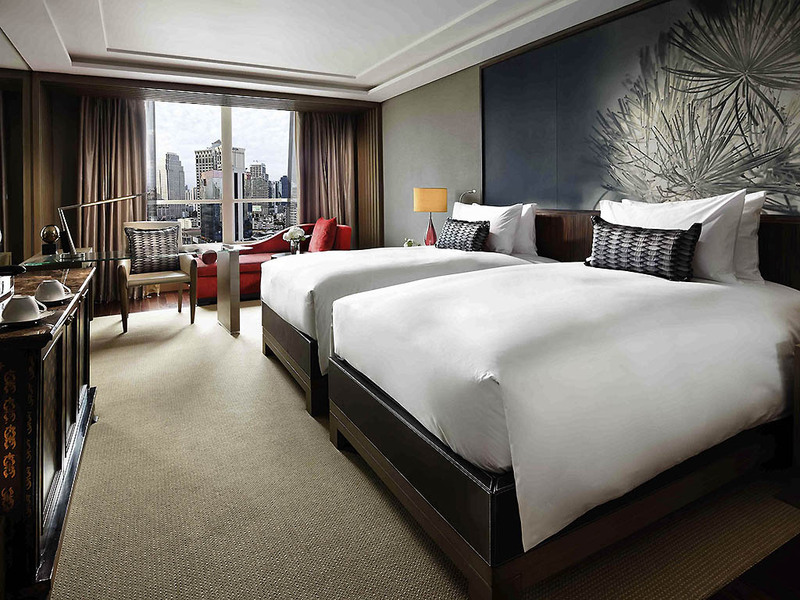 Entering your exquisite room, your gaze is drawn to the floor-to-ceiling windows with sweeping city views. You luxuriate in the sophisticated abode with its au courant color palette, accented by traditional Thai textures of rich silk and soft cotton. 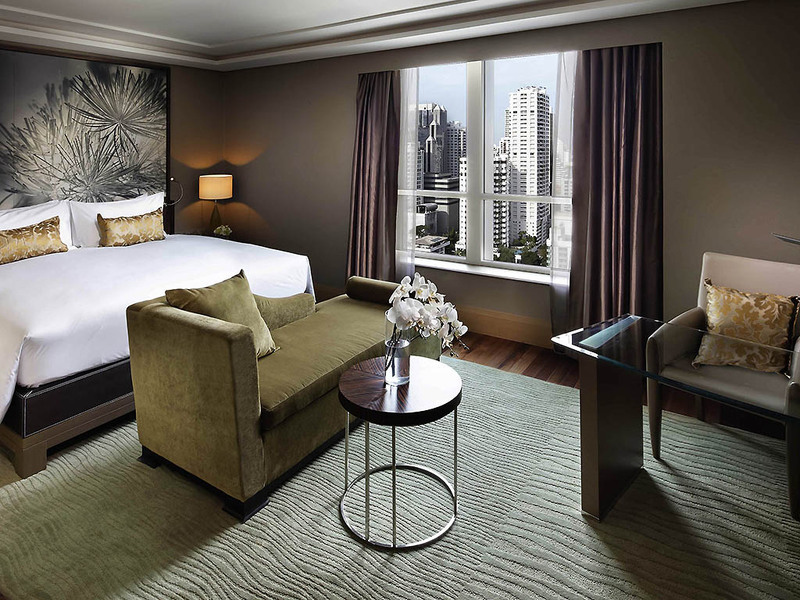 The 345 elegantly appointed rooms and suites each feature floor to ceiling windows, timber floors, state of the art technology and sophisticated furnishings. 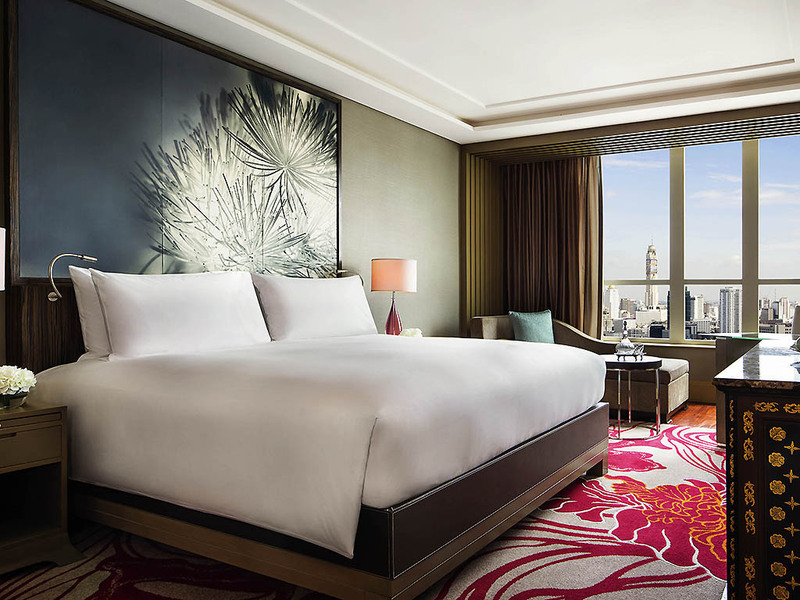 The three Opera Suites and two Imperial Suites offer terraces with sweeping skyline views. A warm and elegant city view room from 37m² (398 sqf.) , featuring a SMART LED TV and a Bose Wave Music System. Heavenly marble bathrooms comprise a separate tub and shower with a selection of L'Occitane product. Fast WIFI internet is complimentary. A warm and elegant high-floor park view room from 37m² (398 sqf.) featuring SMART TV, Bose music system, fast WIFI and late departure until 2pm. Heavenly marble bathrooms comprise a separate tub and shower with a selection of L'Occitane product. A warm and elegant city view room from 40m² (420 sqf.) , with a SMART LED TV and Bose Lifestyle System. Heavenly bathrooms comprise a separate tub and shower with a selection of Hermès product. Club Millésime access and very fast internet on the house. A two-room masterpiece suite from 60m² (645 sqf. ), offering Club Millésime access, SMART LED TV's, & Bose Lifestyle System. Large bathrooms with a separate tub and shower & a selection of Hermès products. Very fast internet and espresso on the house. A two-room masterpiece suite from 105m² (1,130 sqf. ), offering Club Millésime access, SMART LED TV's, & Bose Lifestyle System. Large bathrooms with a separate tub and shower & a selection of Hermès products. Very fast internet and espresso on the house. A 170m² (1,830 sqf.) masterpiece suite, offering Club Millésime access, SMART LED TV's, & Bose Lifestyle System. Large bathroom with a separate tub and shower & a selection of Hermès products. Very fast Internet and espresso on the house. Your personal butler attends to your needs while the Club Millesime lounge welcomes you for private breakfasts, afternoon tea and wine tastings. Club Millesime guests savour extensive VIP privileges and access to the Club's exceptional wine showcase. Enjoy complimentary coffee, tea, mineral water and soft drinks throughout the day, business centre services, one hour use of the club lounge meeting room per day, free pressing of 2 garments per stay, late check-out until 4pm and more. Live performance by Diva artists and DJ, sample fine wines, cocktails and spirits in the comfort of our exuberant lobby. Enjoy fresh juices and creative cocktails by our dramatic landscaped pool, with light meals available throughout the day. Magnifique facilities await your event custom designed with the expertise of the Inspired Meetings Concierge. Twelve venues offer a diversity of sizes and styles all discretely equipped with the latest technology from LED screens to Bose surround sound. Le Grand Ballroom with its natural lighting and modern designer ceiling is one of the largest in Bangkok catering for up to 800 guests. Smaller rooms serve as backdrops to elegant Parisien-style salon soirees. Your Bangkok business meeting wedding or event will find an excellent home on our Inspired Meetings floor. Our central Sukhumvit location is unparalleled for convenience with the BTS skytrain and MRT subway converging just steps from the hotel. Haute couture flutters alongside haute cuisine. Champagne sparkles amidst contemporary styled elegance. Bring your Bangkok wedding to life with French cosmopolitan flair, in a chic modern setting. Tailor design every detail to express your passion. Our wedding team seeks to inspire you in every detail. We are happy to create a gallery of modern French cuisine, an immaculate presentation of Asian delicacies, rich banquets, , delicate creations of French patisserie, whatever you desire. Inspired by your romance, your InspiredMeetings Concierge creates and manages a magnifique event. From grand themes to the smallest detail, every aspect is taken care of for you with expertise, dedication and passionate style. Begin your passionate journey together in a luxurious suite with the cityscape sparkling all around you. 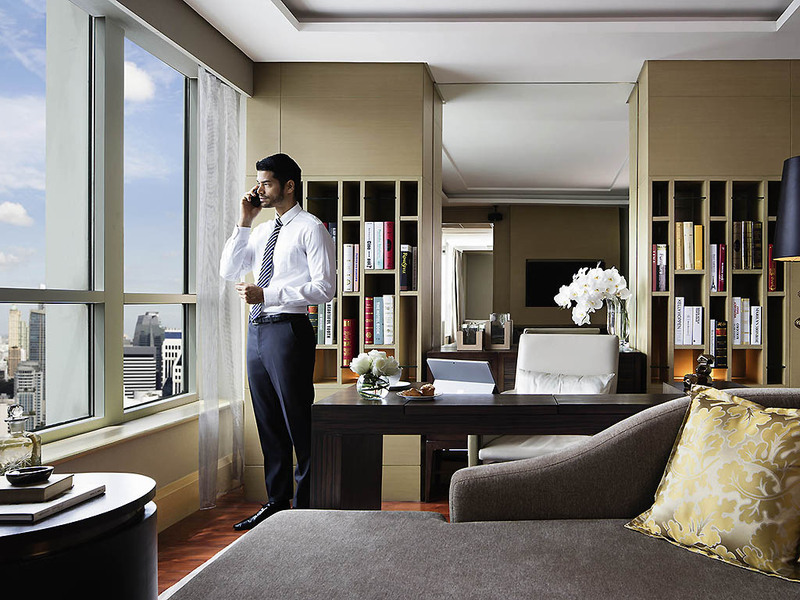 Accommodate your guests in indulgent style in one of the most convenient areas of the Bangkok. A total of 345 rooms and suites welcome your party. Vast windows, elegant décor and computerized mood lighting panels create a special ambience in Le Grand Ballroom, accommodating banquets of up to 450 guests. Stage your celebration against a backdrop of chic, cosmopolitan style. 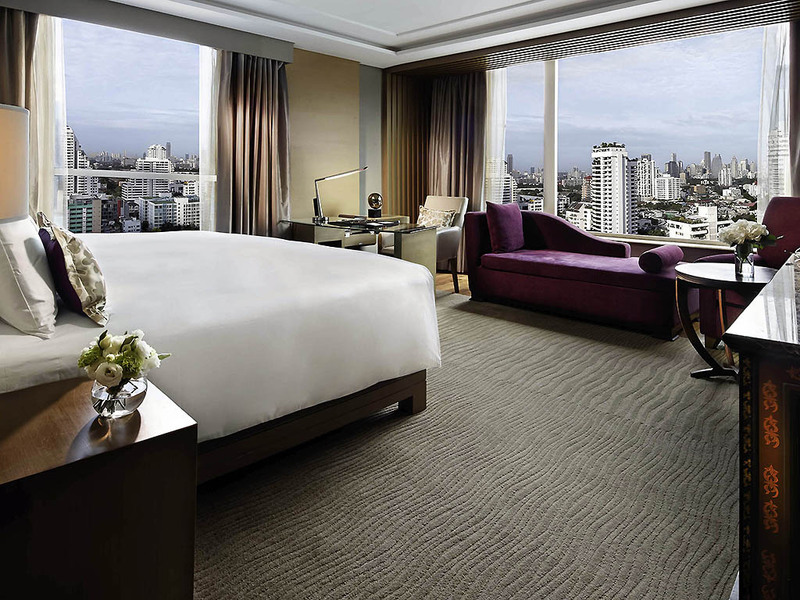 Sofitel Bangkok Sukhumvit is located directly on Sukhumvit Road between Sukhumvit Soi 13 and Sukhumvit Soi 15. Soothing fragrances echo the fields of Provence as therapists massage you into new levels of serenity within Le Spa with L'Occitane. The Bangkok spa's ancient Thai healing traditions interweave with modern aesthetic treatments in a sensual space. 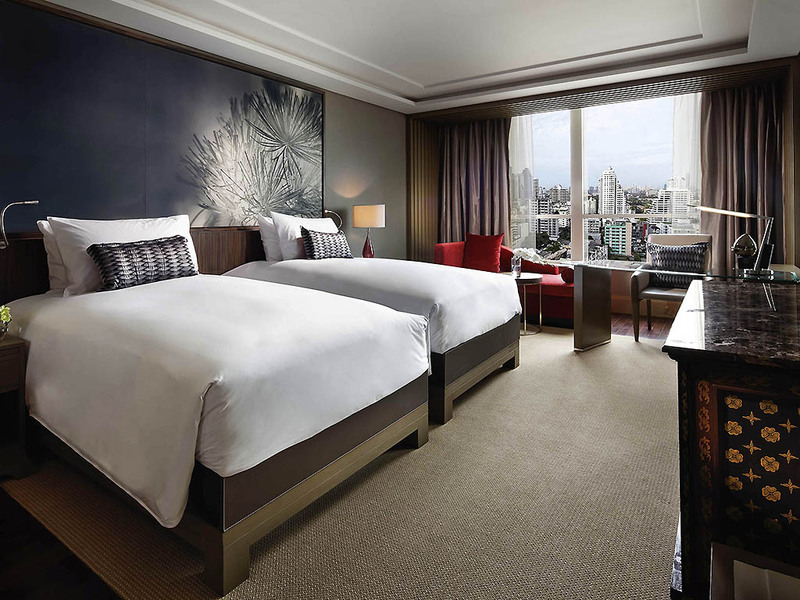 With an award-winning restaurant on the 32nd floor, an art gallery in the lobby, and the opportunity to discover local highlights such as the Temple of the Emerald Buddha, we can create a personalized journey to remember at Sofitel Bangkok Sukhumvit. The greens beckon. Stunning courses by some of the world's leading designers dot the city and its suburbs. Over a dozen golf courses and country clubs call Bangkok home, with even more courses within a few hours drive. Along with the spa, find a 24 hour fitness centre with hydrobath, a 23 metre outdoor swimming pool, Jacuzzi and sauna. The Minérale Spa Bar revitalizes you post workout or treats you with an elite collection of mineral waters and healthful spa cuisine.